This was fun. 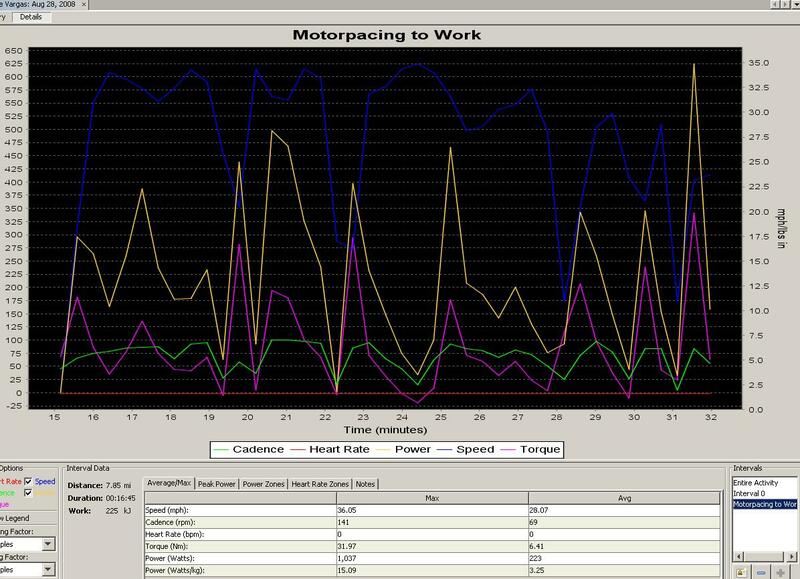 On the last 10 miles to work I was treated to a little high intensity work. I was drafting or Motorpacing behind a Land Rover. The driver, Shannon, knew I was behind him and he kept the speed steady between 30-32 mph a few times over 35mph but he could see I was dropping off and slowed down. I had my climbing cassette 12-27 and a 53/39 crankset. Anything over 34mph had me spinning over 100 RPM (I’m not a spinner). There four distinct rollers along the way and it took significant amount of effort to stay in contact with him. I noticed the Yakima roof rack so I figured he knew what he was doing. We stopped a couple of times for traffic signals and stop signs and exchanged a few words. Shannon thanks for the “pull” and perfect high intensity end to my commute. This entry was posted in On My Commute, Training by REV Cycling Directeur Sportif. Bookmark the permalink.